As the digital age continues to connect countries, brands are more hyped to expand their reach outside their home market. However, most of them overlook the key factor in global marketing; messaging strategy. In China alone, there are heaps of ‘epic translation fails’, mostly from well-known foreign brands. These translation fails often frustrate the Chinese consumers. Gogoboi, a popular fashion blogger in China, likes to collect translation errors a from foreign brands. Nike, Dior, and Givenchy all made it to his list. He shares them to his five million followers on Weibo. Imagine if your brand ends up to that list. Total nightmare, right? So how can you avoid cultural misunderstanding and translation errors? Establish a solid messaging strategy. A message strategy is the first and crucial step in creating an effective advertising message. It’s the foundation of the whole campaign. Simply put, without a good message strategy, your entire campaign won’t be effective. Even if you spend tons of money for it, when your message is not clear to your consumers, it won’t have an impact. To develop a great messaging strategy for China, there are three factors you need to consider. Localization is more than just translating your brand’s name, brochures, or website into Mandarin. You need to know the community. Your brand’s language might not have the same impact or emotion when translated to Mandarin. Let’s say your ad attracted thousands of consumers in your home market. Translating it won’t guarantee the same effect, because the meaning might not have the same weight in Mandarin. You should create your messaging strategy with Chinese consumers in your mind. It’s best to hire a reputable translator, one who knows the Chinese culture by heart. Your ads should fit the platform you’ll use to deliver your content. 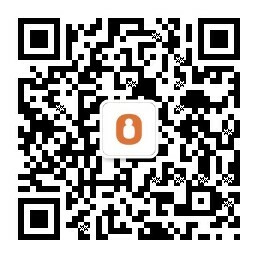 Familiarize yourself to the different social media platforms in China. They don’t have Facebook, but most of them use WeChat. Determine your target market and the platform they use often. Would you like to interact with the Chinese millennials? Or with middle-aged professionals? What platform do they use often? Where can you reach them and share your content with them? Once you get your answers, analyze the platform and figure out how you’re going to use it for marketing. For example, if your target market is on WeChat, you should be aware that WeChat users want engaging content. Be familiar with the app’s features that can take your marketing to the next level. What your brand has to offer will make or break your marketing success. What makes your brand unique? Will your products and services benefit the Chinese consumers? Are they digging your brand? Market research is vital at this point. Be open to feedbacks from your Chinese consumers, and apply their suggestions to your brand. Keep in mind that flexibility will take you a long way. Sometimes, you’ll need to reshape your brand a little bit so the Chinese community can relate to it. You must be ready to adapt their culture and interests. Are there any tips for good messaging strategy you want to add? Tell us in the comments. 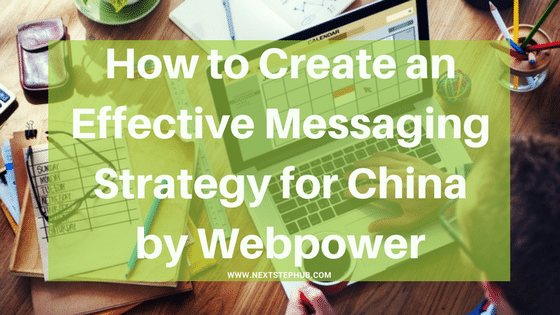 The article Saying it right; creating a China messaging strategy was written by Webpower. Want to learn more about revamping your marketing strategy? Check out our previous article On Selling: Why you Need to Revamp your Marketing Strategy.